Zilli & Bellini starts to project machine for food industries since 1962. Thanks to continuous efforts in research and development we are now in the position to purpose different suitable solutions to the food industries for filling food into rigid containers: glass jars and bottles, aluminium cans and tin plate cans, plastic jars and bottles. R&D team is always available to test new products and containers with our prototypes. 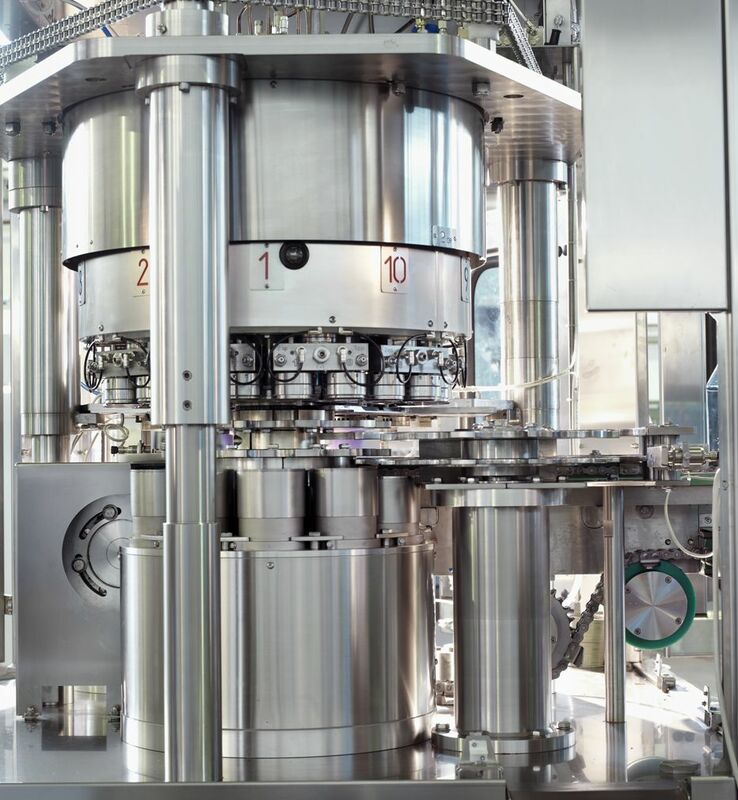 Cleaning, filling accuracy and higher sanitary standards are the focus in fillers and seamers. The seamers for food and beverage industries is completely made in stainless steel, the main characteristic of our seamers is the very high rigidity of the structure respect of competitors. The lubrication is automatic even for the seaming rolls. This means to improve the life of the machines and to minimize the maintenance costs. The customers appreciate the very friendly way to use this seamers. The automatic lid feeder has level sensor to check the lid presence. The machine stops automatically in case of shortage of lids. Each lid is fed from the magazine only if the corresponding can is present. Can handle both stainless steel or aluminum can type. Before to close the cans we can inject under cover: steam, CO2 or LN2. The lids can be open top, easy open or easy peel type.